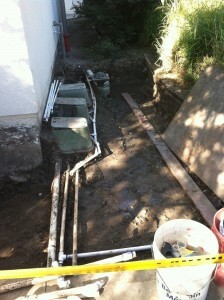 This is Phase 1 of a complete landscape renovation project in Emeryville, for a condominium association. 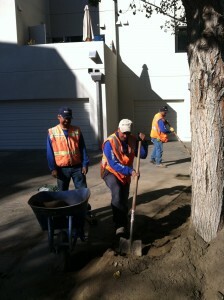 This phase includes an irrigation upgrade, excavating all the soil in planter beds, new shrubs, trees and ground cover. It is scheduled for completion around the end of February 2013. Phase 2 will be hardscape. Phase 1 is scheduled for completion around the end of February 2013. Phase 2 will be hardscape. More to come!